Each year, The Governor's Academy hosts the Massachusetts Special Olympics Fall Soccer Tournament. During the games, more than 1,200 athletes, representing more than 100 teams from across the state, gather to compete in a series of round-robin soccer matches. As hosts of the event, Academy students are responsible for arranging the opening ceremonies, running "Olympic Town," organizing soccer skills and drills, registering athletes, feeding participants and overseeing the competitions. To watch ESPN's 30 for 30 video, Brave in the Attempt, about Eunice Kennedy Shriver's quest to improve the lives of children and adults with intellectual disabilities through the establishment of Special Olympics, click here. 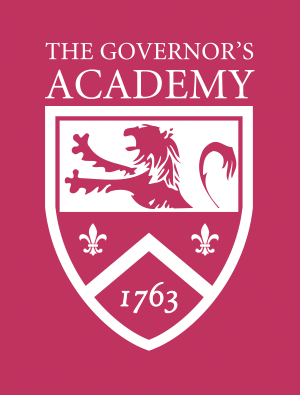 This year's tournament marks the 31st anniversary that The Governor’s Academy will host the state soccer championship. Students from the Landmark School and other nearby institutions join more than 400 Governor’s students, faculty and staff and a number of local families to volunteer for this event. Anyone who would like to volunteer for the 2018 event should contact our Special Olympics leaders. Please read job descriptions below so that you can indicate which positions you would like to fill. Also, please feel free to volunteer with a friend to ensure that you are working with someone that you know. Field Coordinators: Field Coordinators are volunteers who work directly on the fields during the games. They run lines, get balls, gather accurate scores and report them to the venue directors at the end of each game, make sure there are refs for each game and that the correct teams are on the field. It is also their responsibility to set up fields, venue tents, and nets. Since Field Coordinators work in pairs, they should be sure to coordinate their lunch breaks so that at least one person remains on the field. Fields need to be covered at all times! Field Coordinators need to check in at Volunteer Registration in the Student Center by 7:00 a.m. Guides: Guides are the heart and soul of the tournament. They are assigned in pairs to every team that competes, and must stay with their team to cheer and help move their team from game to game. On the morning of the tournament, Guides should report to volunteer registration in the Student Center by 7:30 a.m. and then proceed to the Frost Library to wait for their team’s arrival and pick up their team’s sign. They will then proceed to the front of the Alumni Gym for the Opening Ceremony parade. Guides need to help teams line up for the parade. Afterwards, they will guide them to their first game. Guides also help to get the lunches from the venue tents for their team members and coaches. Because they work in pairs, Guides should be sure to coordinate their half hour lunch break so that one of them stays with the team. Meals: Volunteers for the meals venue prepare bag lunches for the athletes, their coaches, the referees, and the medical staff. This is considered a half-day venue. Bag lunches are prepared in the dining hall. All volunteers must wear gloves. At lunchtime, some volunteers will help box and distribute lunches at the venue tents. Everyone helps to clean up the dining hall. Volunteers should check-in at volunteer registration in the Student Center by 8:00 a.m. and then proceed to the dining hall located in the Phillips Building.